Automating your WooCommerce & QuickBooks Desktop accounting & inventory is easy! 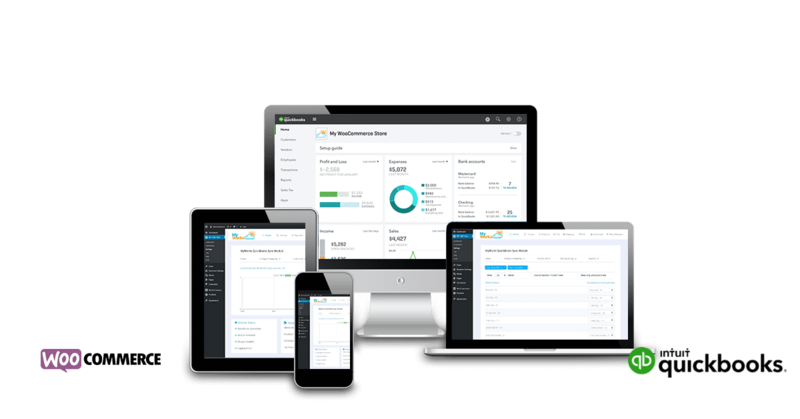 Compatible with QuickBooks Desktop – Pro, Premier & Enterprise (including cloud hosted) – 2015 and later. All orders and data sync automatically to QuickBooks using the QuickBooks Web Connector. Sync as often as you'd like - your data is available whenever you need it! Sync your product data both ways! Update inventory or pricing in WooCommerce or QuickBooks and it will sync to the other platform. Easily access months or even years of past data and sync it to QuickBooks with one click. This is the perfect solution if you're behind on your accounting - get up to date immediately! While you can set up on your own, we include a complimentary setup call to walk you through the process and teach you how to use our sync. Follow a few simple steps to set the plugin up and then sit back and relax as all of your WooCommerce data syncs over to QuickBooks Desktop – automatically! Behind on your accounting? 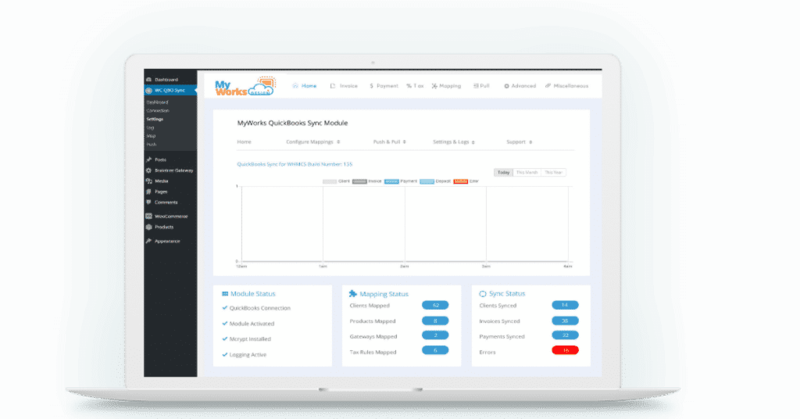 Simply select any past data that you’d like to sync over! Our solution is an actual WooCommerce plugin – and everything is controlled from your WordPress dashboard! Your data goes from your site straight to QuickBooks using the QuickBooks Web Connector (included with QuickBooks) – no third parties means your data is always safe and secure. Ready to start saving time on accounting?